Hi-Fly Kidz Nutrition Tablet is made from Netherlands premium quality goats milk. 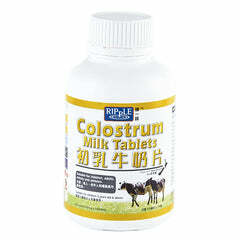 Rich in protein, calcium, vitamin and mineral, and easily digested due to smaller fat globules found in goats milk. Protein helps to build and repair body tissue. Calcium adds to the healthy development of strong bones and teeth. Added DHA & AA are essential for strong brain and eye development suitable for children with cow's milk protein allergy, lactose and foremilk/hindmilk imbalance. Pure Goat's Milk Powder (Milk Product), Non Dairy Creamer (Vegetable oil, Glucose, Sodium Caseinate, Tri-Calcium Phosphate, Monoglycerides) , corn Starch, Maltodextrin, DHA, AA. Store in a cool and dry place below 30 degree Celsius.